We are hiring Senior Android Developer for one of our Danish clients, to work in an excellent offshore development environment in Cairo, with possibility to travel to Europe twice or more per year. The developer will lead the entire app lifecycle right from concept stage until delivery and post launch support. Apps will be mainly content based and integrated closely with the web sites. In addition to delivering the product, the successful candidate will be heavily involved in driving the mobile strategy globally. Build custom, native android applications. 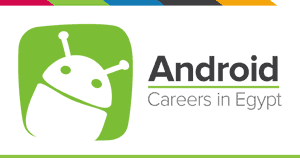 Development working experience in Android development. A deep familiarity with Java. Must be self-motivated, work independently or as part of a team, able to learn quickly, meet deadlines and demonstrate problem-solving skills. Must have advanced skills in object oriented programming concepts. Experience in both Back-End and Front-End Development.